Since its launch, flyadeal, the Kingdom of Saudi Arabia’s new low fares airline, has been growing its flights and network rapidly. It achieved a major milestone flying its 100,000th Customer on November 30, 2017 barely two months after starting operations on September 23, 2017 Saudi Arabia’s National Day. 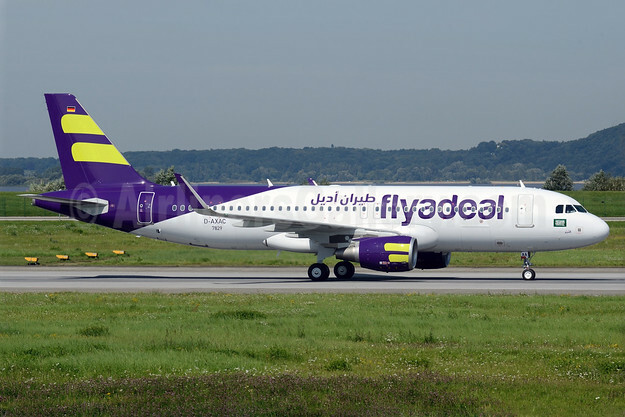 Top Copyright Photo (all others by flyadeal): Flyadeal (Saudia) Airbus A320-214 WL D-AXAC (HZ-FAA) (msn 7829) XFW (Gerd Beilfuss). Image: 939003. This entry was posted in Flyadeal and tagged Airbus A320-214 WL, D-AXAC, Flyadeal, Flyadeal (Saudia), HZ-FAA, msn 7829, XFW on December 4, 2017 by Bruce Drum.